There’s a great deal of information you need to understand when you or a loved one makes the transition from the hospital to home after inpatient treatment. Unfortunately, being discharged from the hospital can be a very confusing time and that confusion can lead to problems once you’re home or even readmission to the hospital. To help insure that your transition from the hospital to home is a smooth and safe one, you should talk with the physician who is leading your treatment team before your discharge and carefully review the discharge instructions to make sure you understand what you need to do next and that all the important information is clearly spelled out in the written instructions provided by the nursing staff. What is my diagnosis at discharge and what is my treatment plan? Are there any testing results still pending and when and how will I receive the results of those tests? Should I continue to take medications I was prescribed in the hospital? If so, have you provided the prescriptions I need? Should I resume taking medications I was taking before? Are there any potential interactions with the newly prescribed medications? Are there any potential complications I should be aware of? What are the signs of these complications and who should I call if I experience any of them? What follow-up appointments, testing, and rehabilitation do I need? How soon do I need to be seen for follow-up? 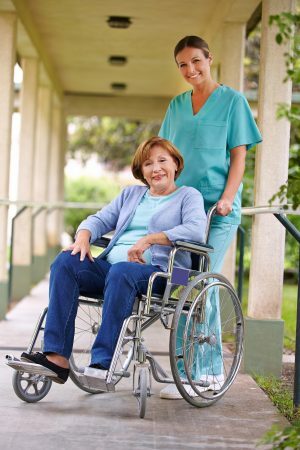 What types of special care do I or my caregiver need to perform at home, such as changing dressings or giving injections? Who will teach us how to perform these tasks before discharge? When is it safe to resume routine activities such as bathing, climbing stairs, driving, or exercising on my own? How can I get a copy of my hospital record and test results and will they be sent to my primary care physician and other physicians who are providing follow-up care? It can also be very helpful to have a family member, friend, or health advisor who can help you gather all the information you need, make appointments, fill prescriptions, and help you manage your transition from the hospital to home for a more successful and less stressful recovery.